Trump directs national security adviser John Bolton to invite Russian President to Washington in the fall, says White House. U.S. President Donald Trump has directed his national security adviser, John Bolton, to invite Russian President Vladimir Putin to Washington in the fall, the White House said on Thursday. “President Trump asked @Ambjohnbolton to invite President Putin to Washington in the fall and those discussions are already underway,” White House spokeswoman Sarah Huckabee Sanders said in a post on Twitter. Earlier, reported Reuters, Trump rejected Putin’s proposal that Russian authorities be allowed to question American citizens. Putin had proposed the idea during the two leaders’ summit in Helsinki this week, in exchange for allowing special counsel Robert Mueller's team to go to Russia to witness interrogations of 12 Russian military officers indicted in the U.S. in relation to Russian meddling in the 2016 election. Trump had originally called Putin’s proposal "an incredible offer" but has appeared to back down from that. “It is a proposal that was made in sincerity by President Putin, but President Trump disagrees with it," Huckabee Sanders explained in a statement. "Hopefully President Putin will have the 12 identified Russians come to the United States to prove their innocence or guilt,” she added, according to ABC News. 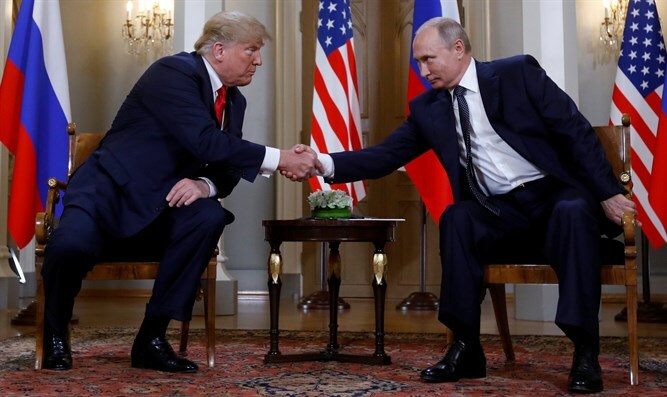 Trump had already caused an uproar earlier this week when, during a press conference with Putin, he appeared to back Putin’s claims regarding Russia’s meddling in the 2016 presidential election. On Wednesday, Trump clarified in an interview on CBS News that it is "true" Russia meddled in the 2016 presidential election, and stressed he would hold Putin responsible for interference.